A machete is the ideal blade for slashing through thick areas of vegetation, whether it is in the jungle, the forest, or even in your own backyard! The Orange Camo Machete adds an autumnal touch to this mighty multipurpose blade. Made from durable stainless steel, this black blade will help you cut your way through the thickest vegetation. With the serration feature on the back, you can saw through sturdier materials as well. 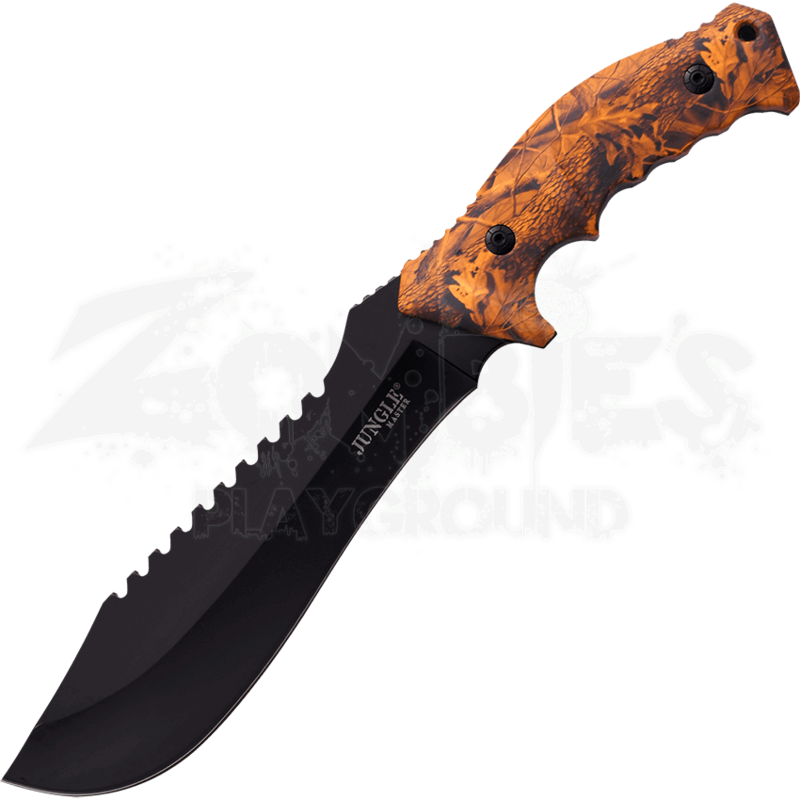 The handle of this machete has a ridged design, helping it to fit easily and comfortably in your hand, while the orange camo adds a fun and natural element. 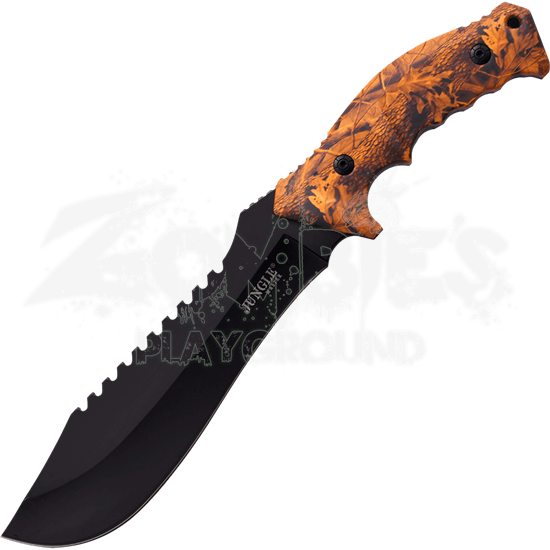 The Orange Camo Machete is a great tool for a number of tasks, with an appealing design that is hard to beat.